The Academy has analysed all coastal states to determine these of the greatest need for its services. In early 2017, the Academy reviewed the quality of maritime management; the volume of maritime traffic and the degree of risk to that traffic in all 154 independent Coastal States. The rationale behind this analysis is contained in the Academy’s Master Plan. “Coastal States in Need” are categorised into 3 priorities. “Priority 1” States have the greatest need of the Academy’s services; “Priority 2” have a greater need and “Priority 3” have some need of its services. An in-house strategy has been developed to determine how the Academy’s resources can best be allocated to reducing the number of Coastal States in Need over the next 5 years. Details of the regions and States can be found in the Academy list of Coastal States in Need via this link. Capacity building activities are, where appropriate, coordinated with the International Maritime Organization (IMO) and the International Hydrographic Organization (IHO) as part of the United Nations “Delivering As One” initiative. How does IMO support the work of the IALA World-Wide Academy? 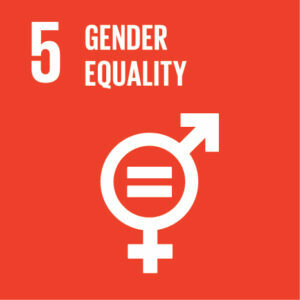 As part of the IMO ongoing and increasing efforts to support United Nations Sustainable Development Goal 5, IMO’s gender programme has developed long-standing partnerships to provide gender-specific training for maritime women, by facilitating access to high-level technical training for women in the maritime sector in developing countries; and creating the environment in which women are identified and selected for career development opportunities in maritime administrations, ports and maritime training institutes. 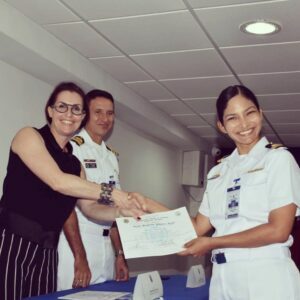 Over the last few years, IMO’s gender programme has supported the participation of female mariners at the Level 1 AtoN Managers courses delivered by Accredited Training Organisations worldwide in cooperation with the Academy. In 2018, IMO co-sponsored the participation of 4 trainees from Costa Rica, El Salvador, Morocco and Samoa. This sponsorship is granted on a case to case basis where IMO covers the return airfare, accommodation and a daily allowance. IMO and the Academy encourages Maritime Authorities to consider this gender programme when selecting people to attend an IALA World-Wide Academy course and to contact us to explore possibilities. More information on the IMO Gender Programme and IMO World Maritime Day via these links.